Daisy Ridley clearly has no intention of being known just for playing Rey in the Star Wars movies, she wants to establish a career outside of that. We've already seen her vye for the Lara Croft role in the Tomb Raider reboot, and while that would ultimately go to Alicia Vikander, Ridley has landed another franchise in Chaos Walking, the YA adaptation notably penned by Eternal Sunshine of the Spotless Mind's Charlie Kaufman. THR reports Ridley has won the lead role in the film, which recently gained Doug Liman (Edge of Tomorrow) as its director. The story is based on the first book in Patrick Ness' trilogy, set in a dystopian future (OF COURSE!!!) where all living creatures can hear one another's thoughts, making chaos the norm and privacy a thing of the past. Ridley will likely take the role of Viola, who creates a space of complete silence that attracts a young man name Todd Hewitt. A co-star will need to be found before shooting can begin, and it will be interesting to see who she's paired up with. 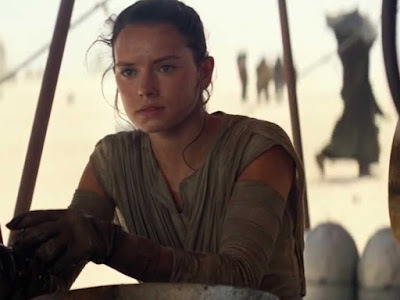 Ridley recently wrapped filming on Star Wars: Episode VIII and has a few other projects coming up.